An easy sugar-free pumpkin pie that’s cooked on the stove and sets in the refrigerator. Use your favorite low carb pie crust and make this recipe your own. We’re looking forward to our annual visit from my wonderful MIL. She visits every year for either Thanksgiving or Christmas. My kids are very excited because Grandmommy has infinite patience and knows just how to make everyone feel special (like all grandparents do – they just have the knack). My son is already setting aside the board games they will play, as my daughter thinks about what crafts they will do together – Grandmommy always has the best ideas. Because our extended families live in Texas and the East coast we cherish these brief visits during the holiday season. Pumpkin pie is a favorite of mine and I eagerly anticipate making it every Fall. I love its firm, custardy texture and the mixture of spices that mingle with the pureed pumpkin – taking it to an entirely new level. Since I only make pumpkin pie twice a year, once for Thanksgiving and once for Christmas, I consider it a must for my holiday table. I’ve been working on a baked sugar-free pumpkin pie with a more traditional-style pastry crust for the past several weeks. 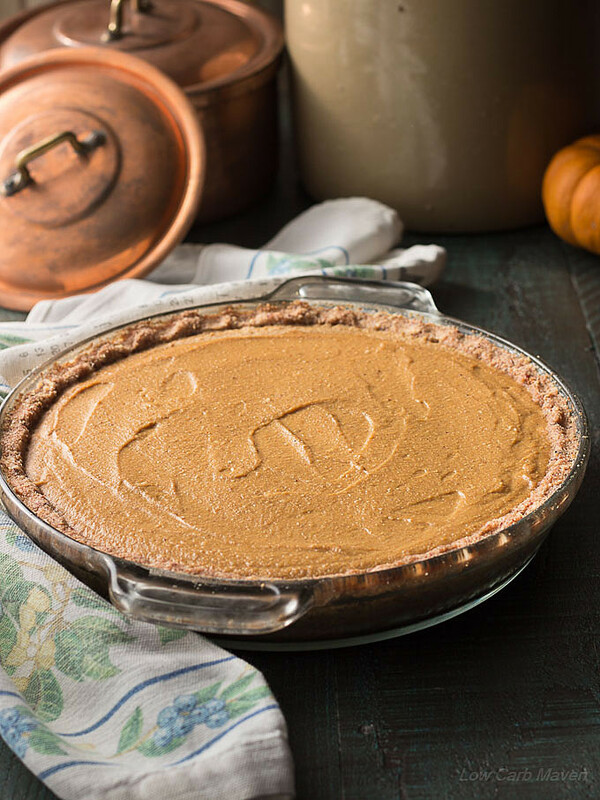 The pumpkin pie filling is slap-your-daddy good, but the low carb pie crust burns before the pie is fully cooked – even with crust savers. Because I don’t share anything I’m not immensely proud of, that version will have to wait until next year. 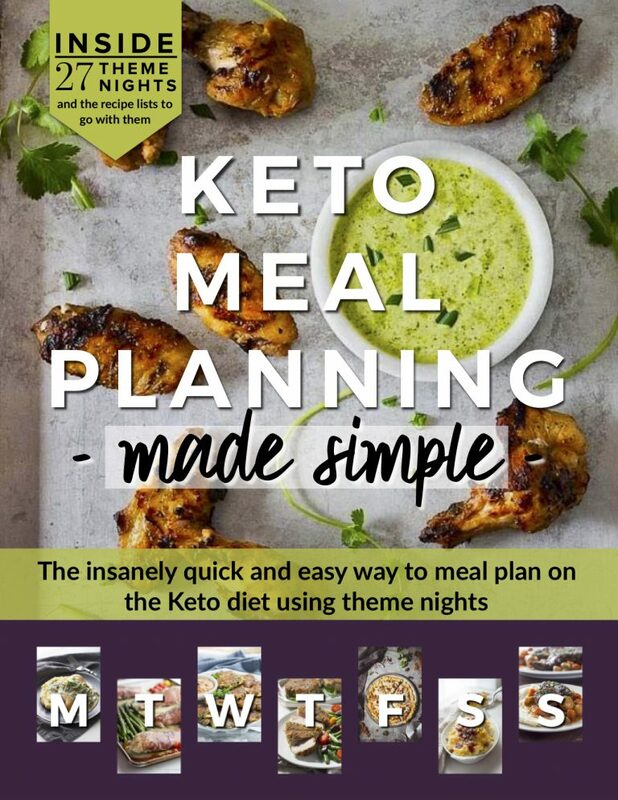 Simply put, I want you to have the best recipes I can offer. Cooking and eating should each be a pleasurable experience. 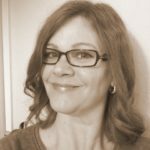 I tabled the low carb baked pumpkin pie recipe and began researching no-bake pumpkin pie recipes. I found what I was looking for on All Recipes – a stovetop recipe for pumpkin pie filling that I fiddled with a bit. This is a very easy and popular recipe on the site and is rated 4 1/2 stars. My version results in a pretty good no-bake low carb pumpkin pie. 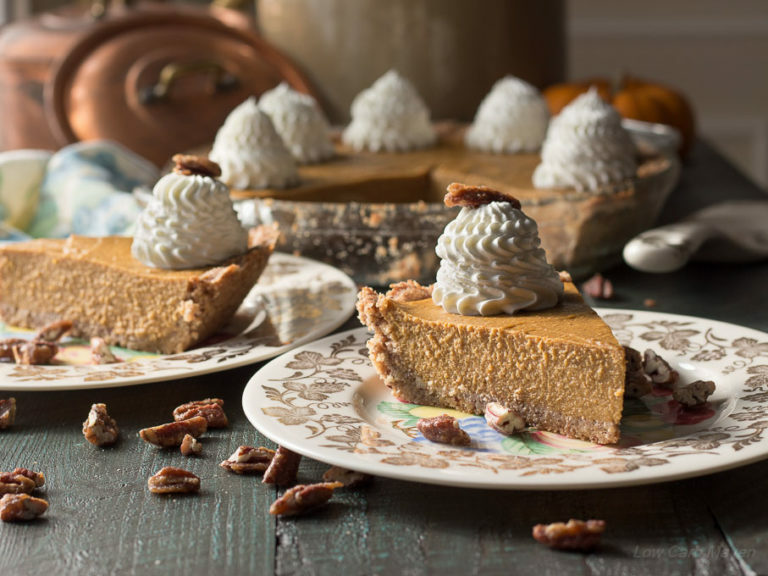 The texture is a little different than that of a traditional pumpkin pie, but it’s absolutely still worth making. My kids loved it. What I like about this recipe is that you can use your favorite low carb pie crust. 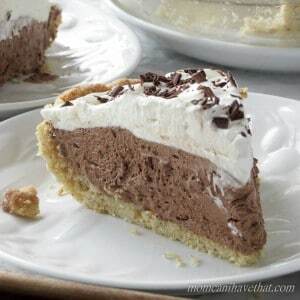 I used a “brown sugar” pecan pie crust that is particularly great with low carb no bake cheesecakes, but it would be equally good with a grain free almond pie crust or this ketogenic walnut pie crust. This sugar-free pumpkin pie filling is nicely spiced and is cooked on the stovetop until thickened, much like a custard or pudding, and gelatin helps it set. Pour the cooked filling into your favorite pre-baked crust and chill. I prefer to chill mine uncovered, over-night, so it develops a very thin skin on top. Then, I cover the pie with plastic wrap. This step prevents the filling from sticking to the wrap when it’s uncovered and messing up the surface of the pie. I do this with all of my low carb “cream pies” and also with my Nana’s cheese pie, which is a family favorite. We all know that pumpkin and winter squashes (as well as sweet potatoes) contain natural sugars, but I have not added any additional sugars. 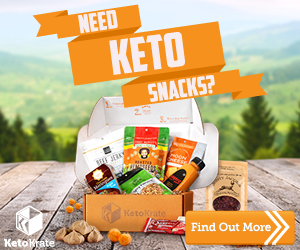 I used my favorite low carb sugar alternatives. I like Sukrin brand, but you can use your favorite. The serving size for this pie is smaller than the healthy 8 servings suggested in several of my other low carb pie recipes. Taken in the context of the amount of food one may consume on Thanksgiving or Christmas Day, it is a nice size. An easy sugar-free pumpkin pie that's cooked on the stove and sets in the refrigerator. Use your favorite low carb pie crust and make this recipe your own. Pecan Crust: Preheat oven to 350 F and place rack to middle position. In a food processor, process the pecans until chopped finely. Add the almond flour, Sukrin Gold, and protein powder. Pulse the machine to mix the ingredients together. Lift the lid and add the melted butter by pouring evenly over the mixture. Pulse again until the mixture resembles crumbs, is moist, and holds together when gently squeezed in your hand. If it doesn't add 1 more tablespoon of melted butter. Pour the crust mixture into a pie plate (mine was 9.5 inches) and press with your fingers to evenly distribute the crust. Using a piece of waxed paper and a flat bottomed glass, firmly press the crust into the pie plate by laying the waxed paper of the crust and pressing down with the glass. Bake for 10-15 minutes until lightly browned. Remove from the oven and cool. Pumpkin Pie Filling: Open the can of pumpkin. On the stove, add the 3 whole eggs and 2 yolks to a medium pot. Beat together. Whisk in the Sukrin Gold, spices and salt. Stir in the heavy cream and sprinkle the gelatin over the surface. Let sit for 5 minutes. The gelatin may bloom - absorb moisture, or not. It's okay, it will melt as it cooks. Turn the heat under the pot to medium and begin stirring slowly with a whisk. When the mixture begins to heat up, stir faster until it just begins to thicken. Turn the heat down to low and stir briskly until the mixture thickens. The whole process should take 5-10 minutes depending on your stove and cookware. Remove the pot from the burner and continue to whisk for 1 minute. Then, stir in the pumpkin puree, vanilla extract and maple extract. Taste and adjust the sweetness per your taste. Pour the pumpkin pie filling into the pie shell and refrigerate, uncovered, over night. Then cover with cling film until ready to serve. Hi Kim, I have been missing your posts ! Are you alright ? Take care, be safe and well !!!! Your Barbra from Folsom, ca. 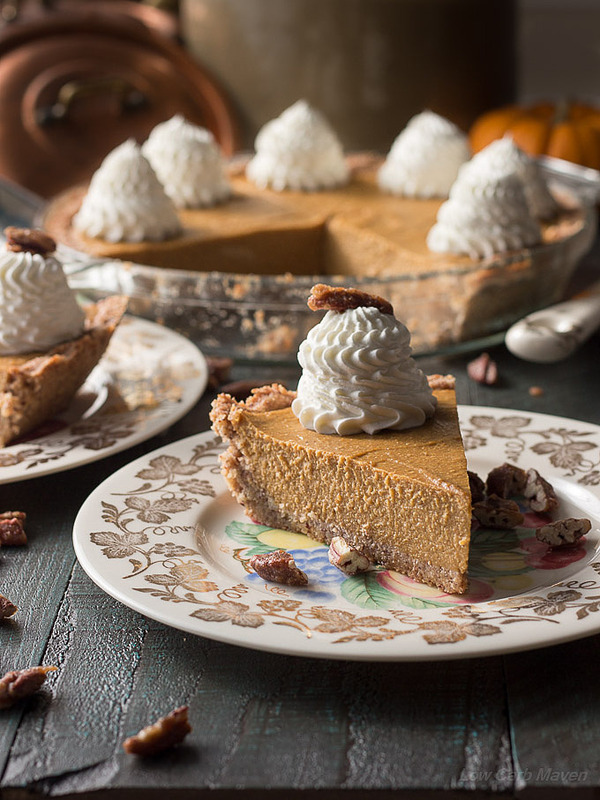 This pumpkin pie has 83 % calcium- how great is that ? I had no ide that pumpkin contains calcium ! Dear Kim . the amount of calcium in pumpkin is miniscule-too bad ! I have osteoporosis and always worried about my calcium intake . By the way please send me recipe for making more time to make all your fabulous creations. Be good and safe-Barbara S.
Thanks, I will just make it crustless, serve it as pudding with *Schlag *, Austrian for whipped cream . This is the middle of January -but I think this is good no matter what season . All the vitamin A in the pumpkin does not hurt either . I love your recipes and look forward to Saturdays ! Be well and be safe, Barbara . Kim this was delicious! Great idea for the filling using traditional stovetop custard techniques and gelatin. This was great in my tart pans with the crust made 6 and then the extra filling was yummy all by itself too in a ramekin. Thanks for all you do playing with food! I don’t use gelatin. Can I substitute pectin? If so, what amounts should I use? Perfect! I have little tart pastry shells I need to use and this will be perfect for them! Any leftovers that won’t go in tartlets can be eaten as pudding! Gnom gnoms pie crust is the best Keto crust I’ve ever used. I modify it and use oat fiber instead of coconut flour and it bakes beautifully. I also have used a bit of lard in place of the butter (for flakiness) and it was honestly to me indistinguishable from a high carb crust. You should try it ! 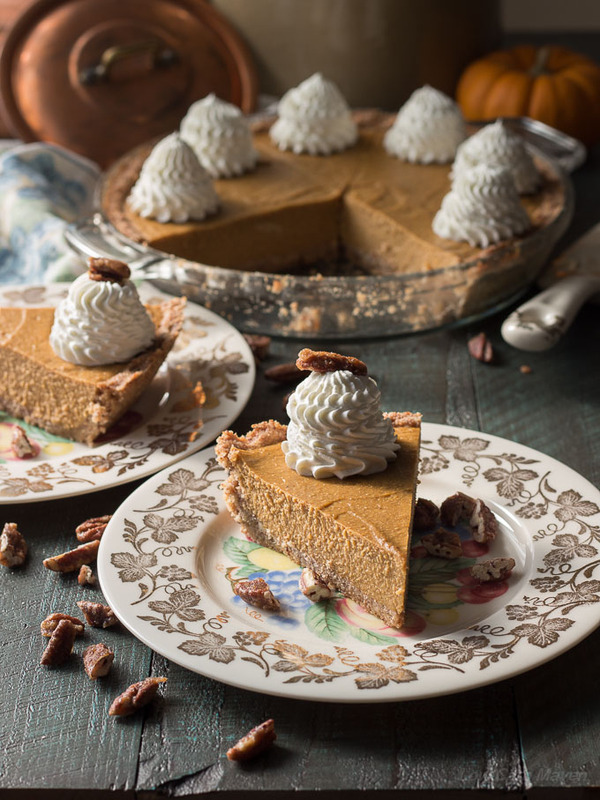 The no bake pumpkin pie with the pecan pie crust is absolutely delicious! My wife and i both love it! Thanks Maven! We are dairy free, is there a substitute for the Whey Powder in the crust? The serving info on the nutrition lable doesn’t indicate the number of servings per pie. Please clarify if it’s 1/8 th, etc. Can’t wait to make this, I eat pumpkin all year round. I have a question on the measurements about the gelatin. Is it a whole pkg or 1tsp? Jennifer, it’s 1 package. I can’t get onto my site to fix the recipe. I am so sorry!!! I can answer questions on my phone, but the site is so busy I can’t get on. I’m so sorry I wasn’t able to get to you earlier on Facebook. I’ve been helping my dad with my mom and it’s been an all day every day kind of work. I hope your pie turned out okay. I am so sorry! I will be trying this recipe soon as I love pumpkin pie. I’m happy to have found this site. You have great-looking dessert recipes! I really liked this pie. I am going to try it with a coconut flour crust as my wife doesn’t handle pecans to well. Hello! This recipe looks wonderful! If I wanted to lower the carb count and fat count by cutting the crust all together and using the filling more like a pudding, might you know what the macros would adjust to? I could figure it out, but I’m asking just in case you have the figures handy. Thank you! I may try this for the next work potluck. Going to make than(sgiving..I hope everyone likes it .thank you..
i’m gonna try this yummy looking pumpkin pie for thanksgiving this year. Looks so good! I love pumpkin, and I will gladly eat it any time of year! I totally understand the anticipation of family coming to visit! We live in Montana and our families live back in Ohio! I found so many delicious-sounding recipes here that I have to try! Thanks so much! I am making this pie this year! Thank you for this recipie! 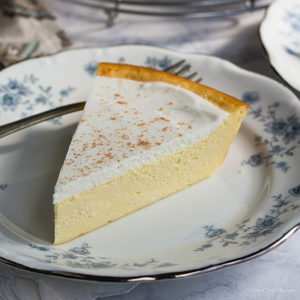 I am making this pie this year! Thank you for this recipie! This pie looks insanely edible. I am kind of in love with the little whipped cream mountains! What a delicious recipe and beautiful pictures. Such a gorgeous looking no bake pie! How on earth did you get the whipped cream to look so cool and sculpted? I love it! I love no bake pie recipes. This looks amazing! No bake pies are the best! 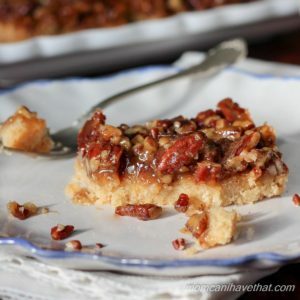 Love that you used a pecan crust! 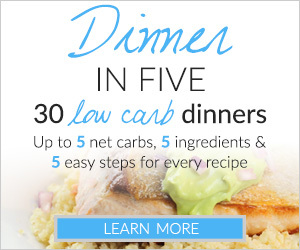 It’s amazing that you manage to make a low-carb version of pretty much everything. I don’t find it that difficult when cooking, but when it comes to baking, I’d be lost. The pie looks absolutely delicious, I am sure I would like it. No bake? Sounds good to me!!! 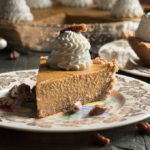 Really glad to see this – I used to have a high-carb no bake pumpkin pie and it was my go-to for fall potlucks and Thanksgiving. I’m making this for a Thanksgiving potluck this weekend, I’ll let you know how it goes over!